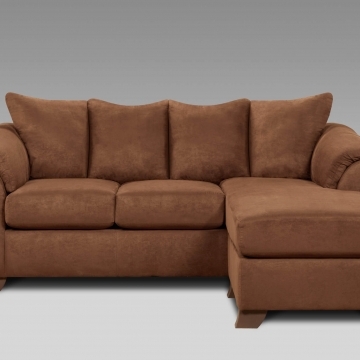 The Ella Greystone sectional is a cozy sectional featuring track arms, fiber filled cushions, and solid wood feet. 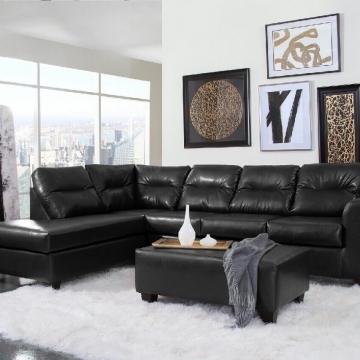 This set is upholstered in a smooth and soft grey fabric. The accent pillows are covered in a autumn harvest orange and mandala print.